Competing Senate proposals to increase energy and water dollars and cut billions in unspent Energy Department funding will test this week whether Congress can expect to move bipartisan spending legislation this year. The Senate will have a vote early this evening to take up a three-bill package, dubbed a minibus, that contains the $43.7 billion fiscal 2019 energy and water spending. The House passed its $44.7 billion version of the legislation two weeks ago. Later in the week, the Senate is likely to turn to a more contentious bill that would rescind $14.7 billion in unspent funding from previous years, including $4 billion in cuts from DOE technology loan programs, an effort created by an Obama-era economic recovery package. Members from both parties are eyeing this week's floor debate on the minibus to set the tone for the remainder of the appropriations process, which in the Senate has advanced with bipartisan support over a truce to avoid "poison pill" amendments, at least in committee (E&E Daily, June 15). "I think we'll see the path develop in the first couple of bills," Sen. Tom Udall of New Mexico, the top Democrat on the Interior and Environment Appropriations Subcommittee, said last week. There's plenty of appetite for an open-amendment process on the floor, although as Udall noted during the markup of the Interior-EPA bill, "One senator's poison pill is another senator's antidote." While appropriators stuck to the détente blessed by Senate leaders, it's unclear whether the rest of the chamber will do so. Republicans struggled to process amendments to the fiscal 2019 defense authorization act because of at times bitter infighting over amendments. Even Majority Whip John Cornyn (R-Texas) was unsure last week as to how the appropriations debate would play out on the floor. "There seems to be this era of good will and cooperation, which we all hope allows us to proceed on a normal amendment process," Cornyn told E&E News. "But everyone's waiting to see because that would be a break from recent practice." Appropriations Chairman Richard Shelby (R-Ala.) said he hoped the internal GOP skirmishing isn't "contagious," threatening the "good will" shown in his committee. "I think we're going to take it to the floor, and I hope there will not be obstructionists in the way," he said after last week's markup of three spending bills. Sen. Lamar Alexander (R-Tenn.), who will manage debate on the Energy-Water section of the package, said he is OK with difficult votes as long as the amendments are relevant. He acknowledged pent-up frustration among senators over the limited opportunities to vote on amendments. "You know it's hard to get elected to the Senate," he told E&E News last week. "It's hard to get here, it's hard to stay here, and while you're here, you may as well accomplish something, and if you can't vote, you can't accomplish much. It's like being in the Grand Ole Opry and not being allowed to sing. So I think most senators are ready to sing." Sen. Lisa Murkowski (R-Alaska), who leads the Interior-Environment Appropriations Subcommittee and is trying to bring that particularly contentious bill to the floor for the first time since assuming the top GOP spot on that panel, said she too believes senators should be able to seek votes on tough issues within the scope of the measure. "I'm starting to feel pretty old around here, but when I started here, that's what we did," she told E&E News. "And you won on some votes if you were able to round up the support, and you lost on others. But there was a process for advancing the bills. And I think that's what so many of us are trying to get back to is a process for advancing the bills in a fair way that allows for full participation by the body." Sen. Jon Tester (D-Mont. ), a senior appropriator, signaled last week he was leaning toward backing the minibus, assuming it does not undergo major floor revisions. "If it's basically the same bill that came out of Approps, I intend to" support it, said Tester, noting he has yet to decide what, if any, amendments he might propose to the legislation. While there are hopes for advancing the spending package, it's not clear whether the White House rescissions proposal will move forward. Office of Management and Budget Director Mick Mulvaney met with GOP senators last week to make the case for the cuts, which target unspent funds from past years and would not impact current or future spending. The administration sees the move as a way to exercise fiscal restraint. The House already narrowly backed the rescissions earlier this month. Under budget rules, the measure must be acted on by Friday, 30 days after it was first proposed, and cannot be filibustered. Republicans have been split over the plan. Conservatives have touted it, while more moderate senators, including many appropriators, have questioned whether Congress should essentially cede authority to the White House by agreeing to its proposed cuts. Democrats are likely to be united against the plan, which they say is an election-year gambit that won't have a major impact on the budget bottom line because much of the funding was never expected to be spent. Still, a partisan fight over rescissions could imperil the fragile comity party leaders hope to achieve on fiscal 2019 spending. 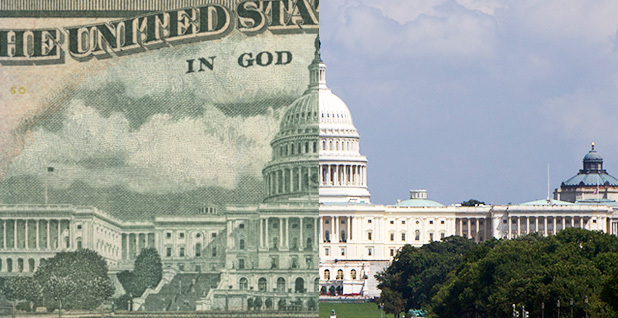 Both the House and Senate appropriations committees are set to move other fiscal 2019 spending bills this week. The Senate Appropriations subcommittees on Homeland Security, State and Foreign Operations, and Financial Services and General Government will advance drafts of their spending bills tomorrow. The full Appropriations Committee will consider them Thursday. The House Appropriations Committee is due to advance its Labor, Health and Human Services, and Education bill as well as its State and Foreign Operations bill on Wednesday. Schedule: The Senate Appropriations subcommittee markup on the Homeland Security bill is Tuesday, June 19, at 10 a.m. in 124 Dirksen. Schedule: The Senate Appropriations subcommittee markup on the Financial Services bill is Tuesday, June 19, at 11 a.m. in 138 Dirksen. Schedule: The Senate Appropriations subcommittee markup on the State and Foreign Operations bill is Tuesday, June 19, at 3 p.m. in 138 Dirksen. Schedule: The House Appropriations Committee markup is Wednesday, June 20, at 10 a.m. in 2154 Rayburn. Schedule: The Senate Appropriations Committee markup is Thursday, June 21, at 10:30 a.m. in 106 Dirksen.